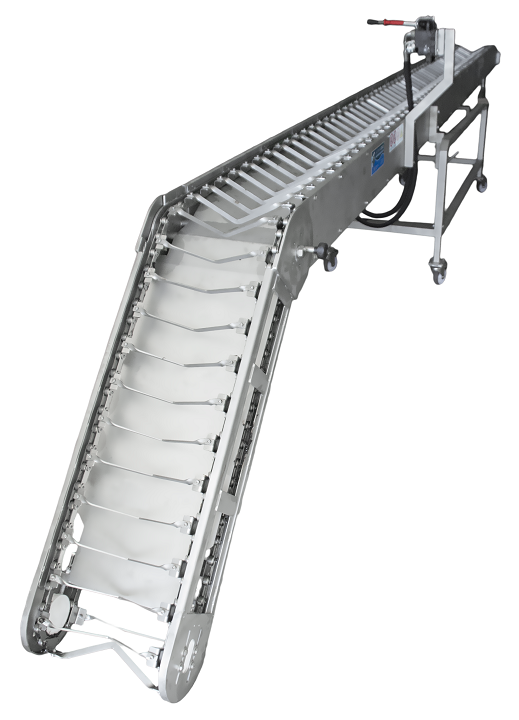 The declumping line for mussel farming allow the separation and resocking of harvested mussels, giving also in an excellent cleaning of the product carried out by two sets of brushes mounted on the declumping machine. 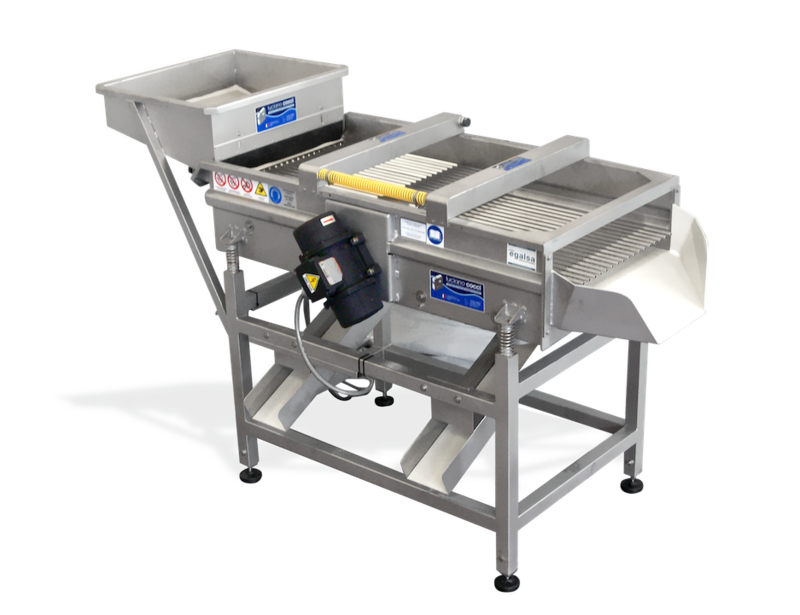 Thanks to the embedded washing system, our declumping machines eliminate the majority of the mud, impurities and of the mussel seed that might be present on the grown harvested product. The vibrating grading machine and the resocking belts at the end of the line allow the re-socking of the product in a double tubular net made of plastic and cotton mesh. 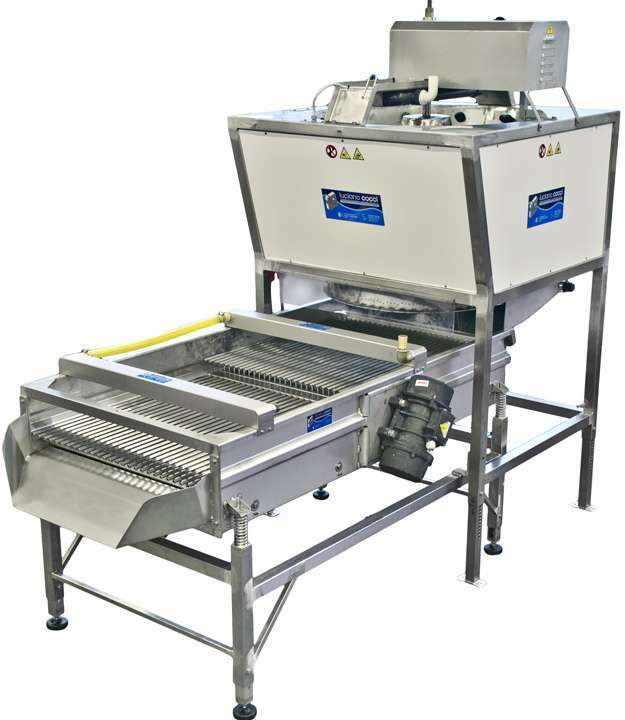 Our company is the world's only manufacturer that can produce 3 different models of declumping machine, differing in dimension and productivity (up to 6 Ton/h), and grading machines that are extremely customizable in function and size, so that everyone can find the perfect solution for his business, from individual mussel farmers managing a few lines to companies working with multiple vessels on the same farm. The materiales utilized in the construction of this machine, as for every other machinery built by our company, are especially dedicated to the use in the marine environment and in the harshest conditions: the structure of the machine is made of Aisi 316L stainless steel, and high resistance plastic material suitable for the contact with food, all in line with the European Community regulations for the food processing sector. Mussels change in size as the season advances, and the abundant presence of spat and periods of fragile shells create the necessity of having different brushing regulations on the declumping machine. A smart and easy-to-manage solution allows the operators to regulate and set the declumping strenght of the machine. The standard model of the declumping machine comes coupled with a vibrating grading machine to directly grade and select the product by size. 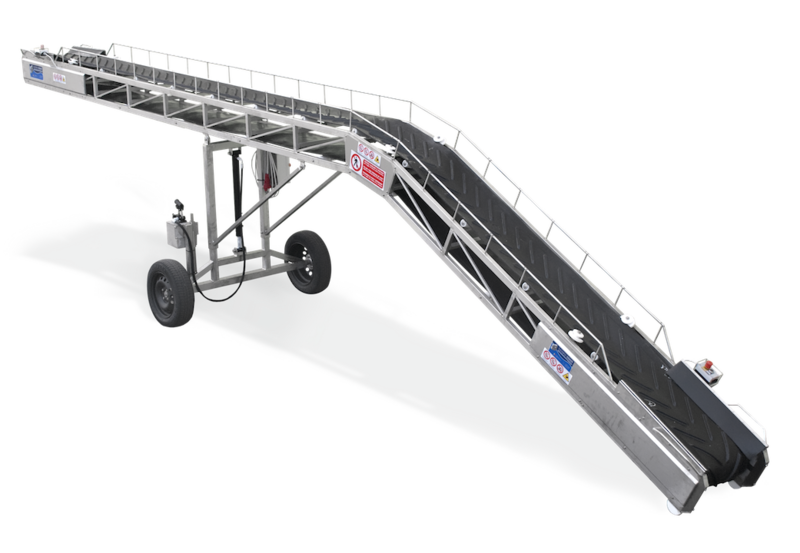 This solution allows the installation of a high-performing mussel farming line even when the space on deck is extremely limited. 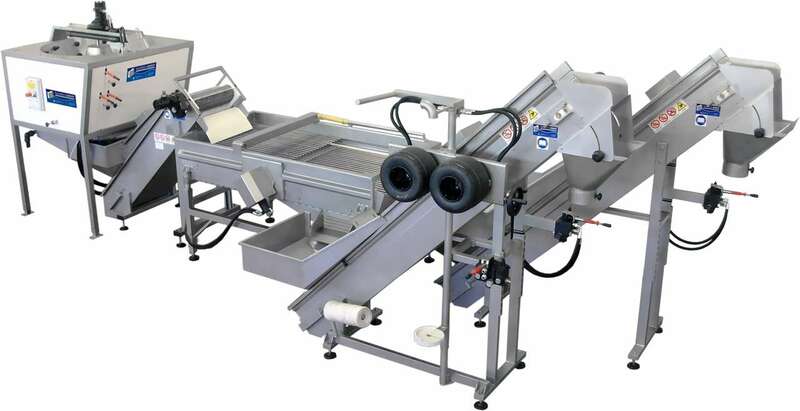 For larger vessels, a 316L stainless steel wire cloth belt can be put between the declumper and the grading machine, in order to obtain a more efficient selection of the product and to ease the labour of the operators working on the grading machine.